(Leah Hogsten | The Salt Lake Tribune) Salt Lake City native Nathaniel Coleman won the USA Climbing: Bouldering Open National Championships for the third consecutive time at the Salt Palace Convention Center, Saturday, February 3, 2018 in Salt Lake City, UT. .
Utah’s ongoing Olympic vibe just got a little stronger. On Tuesday, the Utah Sports Commission announced that USA Climbing, the national governing body for the sport that will make its Olympic debut at the 2020 Olympic Summer Games in Tokyo is relocating its headquarters from Boulder, Colo., to Salt Lake City. The sports commission partnered with USA Climbing to help facilitate the move. According to USA Climbing CEO Marc Norman, the organization is aiming at the new industry development in Salt Lake City’s Granary District as its new full-time home. USA Climbing becomes the third national governing body to make Utah its home base, alongside U.S. Ski & Snowboard (Park City) and U.S. Speedskating (Kearns). "Relocating another national governing body of sport like USA Climbing to Utah is a big win,” Utah Gov. Gary Herbert said. “It will allow us to have some of the world's best climbing athletes train here and call Utah home and we will also be a hub for the hosting of many major climbing events as well." Founded in 1998, USA Climbing is growing at a rapid rate. According to the release, its growing at an average rate of 32 percent per year in participation. The organization also sanctions over 350 competitions each year, including national championships in various disciplines such as adaptive, bouldering, collegiate, speed and sport. USA Climbing oversees the U.S. senior and youth national team pools for climbers who compete in World Cup and World Championship events. Speed climbing, bouldering and lead climbing will be the three brand new disciplines at the 2020 Olympics in Tokyo. Speed climbing pits two climbers against one another climbing a fixed route on a 15-meter wall. Bouldering features climbers scaling a number of fixed routes on a 4-meter wall against the clock and lead climbing will pit athletes attempting to climb as high as possible on a wall measuring over 15-meter tall within a fixed time. At the Olympics in 2020, climbers will compete in all three disciplines with the medal outcomes being determined by the combined results. 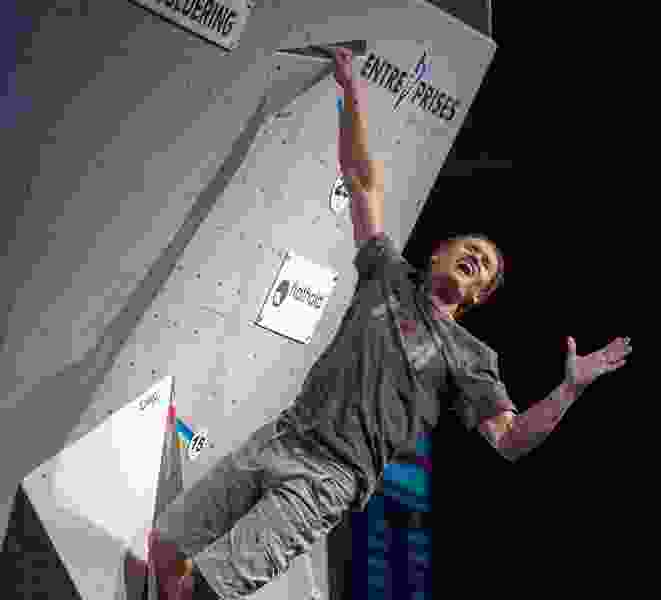 Once the move becomes permanent, Utah will look to host several national and international climbing competitions. Utah has been a regular stop for various ski, snowboard and speedskating World Cups and World Championship events since the 2002 Olympic Winter Games. In recent years, Utah has hosted tournaments and Olympic Trials for several summer events, including weightlifting, fencing and Taekwondo. “The presence of USA Climbing in our community allows us to continue to help position the state as a leader in the international sports industry and to further focus on sports development as a key component of Utah’s promotional and economic-development strategy,” said Jeff Robbins, president of the Utah Sports Commission.